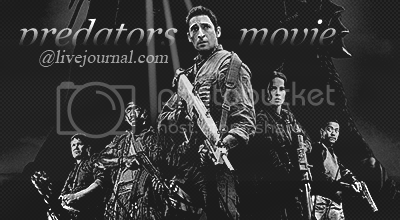 Come and join predators_movie, a community for Predators, a 2010 American science fiction horror film directed by Nimród Antal and produced by Robert Rodriguez. No, 'course not. :) Go ahead! Sure it is. As soon as I am home from work, I'll see to it. Do you want anything else on the banner or just the name of the community? You're welcome. :D Thank you for using it!